A public lecture by Carmen Lawrence, Director of the Centre for the Study of Social Change, School of Psychology, The University of Western Australia. Too often planning decisions are made without reference to their human impact, except in the narrowest sense of projected economic outcomes. Straight line thinkers overlook the deep connections between people and place and are particularly blind to the effects on people and their communities of destroying natural environments, native animals and plants. The decision by the current state government to proceed with the long abandoned extension of Roe Highway and in the process to destroy the Beeliar wetlands, raze the Coolbellup bushlands and dissect communities into polluted enclaves, illustrates just how destructive such decisions can be. In this lecture, Professor Lawrence explored research which demonstrates the powerful effects of place and the natural environment on human well-being and conversely what happens when such environments are destroyed. Using illustrations from the campaign to halt the construction of Roe 8, she also explored the genesis of a powerful community of interest and the many ways people have found to give expressions to their desire to protect people and place. After training as a research psychologist at The University of Western Australia and lecturing in a number of Australian universities, Dr Lawrence entered politics in 1986, serving at both State and Federal levels for 21 years. She was at various times WA Minister for Education and Aboriginal Affairs and was the first woman Premier and Treasurer of a State government. She shifted to Federal politics in 1994 when she was elected as the Member for Fremantle and was appointed Minister for Health and Human Services and Minister assisting the Prime Minister on the Status of Women. She has held various portfolios in Opposition, including Indigenous Affairs, Environment, Industry and Innovation and was elected national President of the Labor Party in 2004. 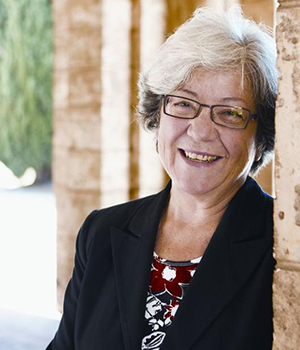 She retired from politics in 2007 and served for a period as Chair of the Australian Heritage Council. She is now Director of the Centre for the Study of Social Change in the School of Psychology at The University of Western Australia.